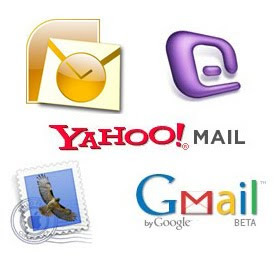 Most of the email forging tutorials1 on internet will teach us how to send fake email connecting to SMTP server of the ISP or any other domain. But this is not possible since these hacks will no longer work today because SMTP of remote server will reject any attempts for unauthorized access. Also many of the websites offer you to send fake email from their sites where none of them work. So we have to run our own SMTP server on our computer to successfully send a fake email. SMTP server is a simple software program which can be installed on your computer in few seconds.SMTP server allows you to send fake email right from your desktop easily and effectively. Download QK SMTP server HERE. This is the SMTP server i am using in my tutorial. Once you download and install the server on your comp then you are all set to send fake email successfully. Once you have installed the QK SMTP server on your comp you must perform the following configuration. 3. Set binding IP to “127.0.0.1? 4. Set port to “25? Here 127.0.0.1 is the default IP of every computer.25 is the port number. SO you are connecting to the SMTP serverrunning on your own computer.This step is very important to send fake email. NOTE: The IP 127.0.0.1 should not be substituted by any other IP. 4. 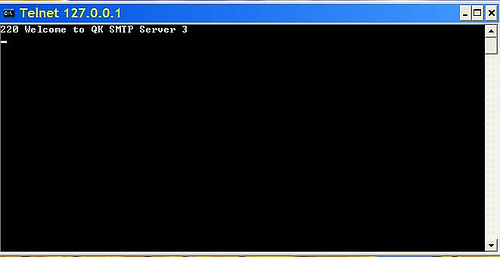 After typing the telnet command in the command prompt you get entry to the server which displays the following message. The response of a OK SMTP server is given below. Message within Green color is only explanation. You can create as many headers followed by the “:” symbol. 221 Closing connection. Good bye.